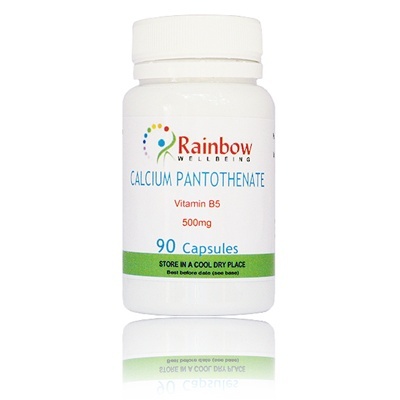 Although Calcium Pantothenate, also called Vitamin B5, occurs in small amounts in most foods, a deficiency of the vitamin is commonplace. It is involved in a number of metabolic functions, such as fat and sugar metabolism and the production of adrenalin, which is needed in stress conditions. It also helps to maintain normal blood sugar levels, and increase energy, particularly in stressful situations - which is why it is often called the 'stress vitamin'; it is also used to treat rheumatoid arthritis and allergies. 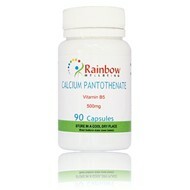 Each capsule provides 500mg of B5. No other ingredient or additive of any kind.